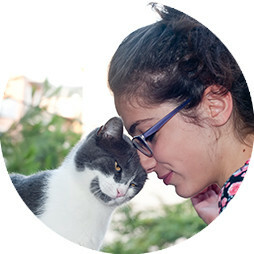 We understand that your pet is an important part of your family and with thousands of pets in the UK requiring vet treatment every year and the average claim cost rising to £757 in 2017, (according to the Association of British Insurers in 2017), it is vital that you are able to provide the care your pet needs if the worst were to happen. Here at Paws and Claws we have a variety of plans for you to choose from so that you can find a policy that’s right for you, your pet and your budget. Here at Paws and Claws we offer 6 levels of cover and up to £5,000 cover per condition for vet fees with an excess from as little as £60 to take care of those sometimes hefty vet bills. Cover is available for your kitten or puppy from as young as eight weeks old and we have no upper age limit. Paws and Claws offer a range of 6 Dog Insurance products which can help safeguard your family member. We can arrange Dog Insurance from as little as £6.14 a month. Paws and Claws offer a range of 6 different Cat Insurance products which can help safeguard your family member. We can arrange Cat Insurance from as little as £4.55 a month. Insure your pet and you could also be entitled to receive up to a 10% discount on each additional pet added to your policy. As part of your Pet Insurance Policy we offer a 24 Hour Vet Helpline on 0333 332 6420 to talk through any concerns or questions you may have about your pet with a qualified vet nurse helping to avoid unnecessary trips to the vet. This cover provides a financial limit for each new accident or illness, per year. When the financial limit has been reached for that condition, no further claims will be covered until the policy is renewed, at which point the cover limit is fully reinstated as long as your insurance policy remains in force with no breaks in cover and premiums are kept up to date. This product meets the demands and needs of a pet owner who wants peace of mind that the ongoing costs of any veterinary treatment for illnesses and injuries is covered during the life of their pet. Following an illness or injury you have 12 months cover from the onset of each new condition up to the financial limit. Once reached or the 12 months has passed, whichever is sooner, any on-going treatment required as a result of the condition will be excluded from future claims. No further cover will be provided unless your insurance policy remains in force with no breaks in cover and premiums are kept up to date. 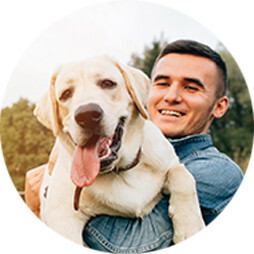 This product meets the demands and needs of a pet owner who wants to cover the cost of veterinary treatment for 12 months only for each illness or injury. Following an injury you have 12 months cover from the onset of each new condition up to the financial limit. Once reached or the 12 months has passed, whichever is sooner, any on-going treatment required as a result of the condition will be excluded from future claims. This product meets the demands and needs of a pet owner who wants to cover accidents and injuries only. You also have the option to pay for an annual policy upfront, or spread the cost with monthly payments at no extra charge. Insurance could cover the cost of advertising your lost pet or the reward on offer for its safe return. Insurance can cover you in the event that your animal harms another person or damages someone’s property. Insurance could cover the cost of having the death certified by a qualified vet nurse and could also cover the cost of euthanasia if your pet has to be put down. ῟ Based on a Cat under 8 years old living in Lincoln. * The Benefit Limits for Complementary Medicine, Special Diet, Cruciate Ligament, CT/MRI scans and Dentistry where applicable are included in the overall Benefit Limit for Veterinary Fees and are subject to the one excess per Condition per policy period. ** An excess is deducted for each accident or illness claimed for during each policy period. For One and Two Paw policies the excess is deducted once per Condition. 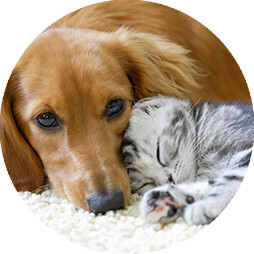 Special note in respect of pets aged 8 years or over: For Veterinary Fees, a 15% co-payment will apply to each claim payment in addition to the deduction of the standard excess. *** A one off payment up to the maximum Benefit Limit shown upon the death of your pet up to the age of 8 years old. Death from illness is not included on Two Paw policies. # A £250 excess is paid once per claim. 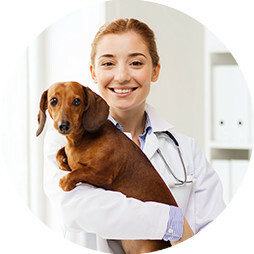 ## Payments for Veterinary Fees are limited to costs incurred within 1 calendar year from the date the Condition first manifested or the maximum Benefit Limit, whichever is reached first and subject to renewal. On policies where illness is covered, a 14 day waiting period applies to illness only. Please refer to the policy wording and key facts documents for full details of cover written in plain English. Cover available for your pet from as young as 8 weeks old.